Learning to perform the Two Powers Meditation was not difficult for me. 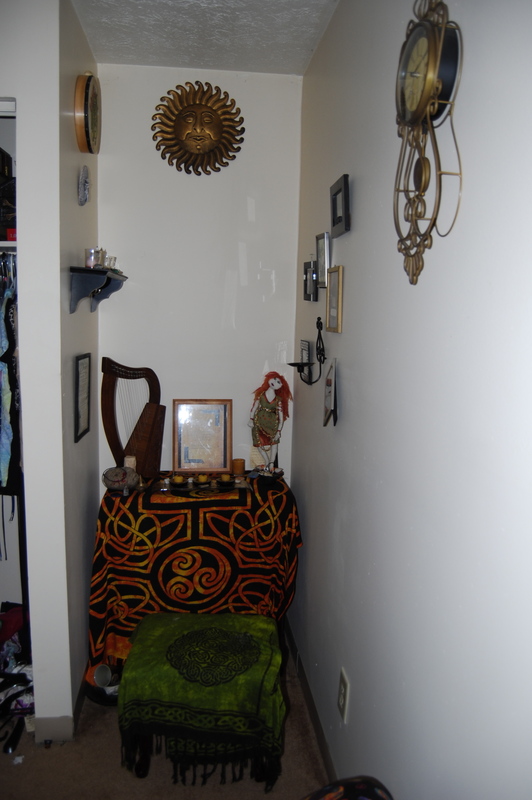 As a former Wiccan I was often exposed to different meditations and guided visualizations. One of the most common meditations, the Tree of Life, shares some characteristics of the Two Powers Meditation of ADF. Each asks us to reach into the upper and lower realms and absorb some of that world’s energy. It wasn’t until I started working with the ADF model that I began to consider the symbolic implications of such an exercise. Regardless of whether I stand or sit, I first feel myself firmly on the Earth’s surface. I take three deep breaths to establish a mindset. In this way I am telling myself that it is time to work and think in the symbolic world – the spiritual world. I feel myself connected to the middle realm – to Midgar, if I may use the term from Norse cosmology. 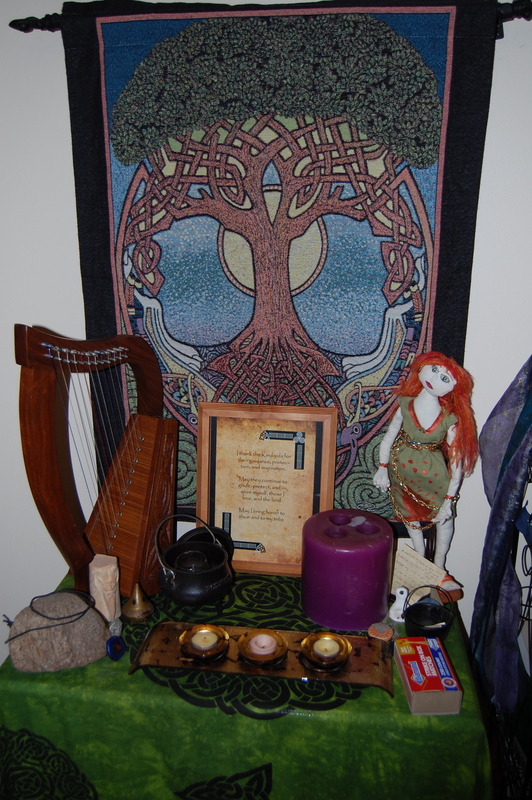 Two Powers or Tree of Life, I think of myself as the world tree – as Yggdrasil or the Bile. I am suspended between the depth of the underworld and the sky. I am of the earth and live in a realm of plants, soil, and animals. Whether I see myself as a human being or the actual tree, I am still very much a being of the middle world, pressing my body into the underworld and stretching up to the upperworld. I imagine that the powers of the underworld are always available to us. They are deep beneath the surface for spiritual taproots to drink up and they undulate across the earth to seep through our feet. I experience the energy as a pulse or vibration that crawls (and sometimes shoots) up my legs. It spirals in my loins, heart, and skull. This power is both chaotic and ordered. I imagine the first current as water. It has the disruptive potential of a tsunami or raging rapids, yet it is also the same calming, healing, and organized power that trickles out of the earth in the form of sacred wells and rivers – the same forces that determine where many settlements are located. It is the playfulness of the otter and the wisdom of the salmon. The energies of the underworld are therefore powerful and deep, calming and healing. Because of the underworld’s association with the dead, this current has a connection to such energies – the potential for rejuvenation and transformation. The energies are the mysteries of Hades and the creative potential of dwarven smiths. It is as masculine as the cauldron of An Dagda and as feminine as the holy waters of the Boyne. When I lift up my hands, fingers outstretched, I call on the energies of the sky – the upperworld. I reach to the sun and guiding stars. I cannot say that I feel a temperature from the underworld current but I definitely feel a heat from the upperworld. It is subtle but there. Like the first power, the second pulses and sometimes shoots through my body, spiraling in my skull, heart, and loins. I see it as fire. It is the chaotic energy of a wildfire or an explosive star, yet it is also the protective campfire and meditative candle. It is the transformative flame of the alchemists’ lab and Ceridwen’s cooking fire. It is the passionate energy of lovers, the rage of a warrior in battle, and the inspirational fire in the head. It is the might of dueling dragons and the all encompassing sight of the high-flying eagle. It has the masculine energy of Helios’ chariot and Lugh’s spear, but the feminine energy of Brighid and Vesta’s sacred flames and protective hearth fires. I believe that the primary difference between the Two Powers is that one is more visible and accessible to us. The powers of the upper world are equated to the sky. Although the numerous stars that appear at night are distant to us, we can see them and we know our place within the vastness of their territory. The sun and moon, which are even more noticeable, determine our daily routines. A layman can look up and try to predict the weather. The underworld, on the other hand, though equated with water (something very visible to us) seems more concerned with what lies below the land and the surface of the water. It is very mysterious to us. The plants grow out of it, caves delve deeply within it, and we bury our dead there. We cannot quite grasp it in the way we can the upperworld. That is not to say that the heavens don’t offer any wonder or mystery, but the underworld is certainly more hidden and, I think, spiritually harder to access in a comprehensive way. This is why the ancients were both amazed and fearful of their blacksmiths, the priests and artisans of the underworld. When I perform the Two Powers I am able to concentrate on and experience the deep symbolism of the energies. I believe that the exercise is called the Two Powers because we call on the energies of the upperworld and underworld into ourselves, we being of the middle world – a third power. Yet as beings familiar with the middle world, it is the powers of the upper and lower realms that truly inspire, empower, and awaken us, hence two powers rather than three. We are already the third and we seek union with the other two. By connecting with the upperworld and underworld, I am essentially recreating the cosmology I believe in and thus deepening my spiritual understanding of the other worlds. The Two Powers not only connect me to the literal realms of upper, lower, and middle worlds, but to the spiritual realms of the Three Kindreds. This is a wonderful exercise for simple meditations, and it also works well in ritual as it reminds all who participate of our interconnectivity with the realms and Kindreds.